"Stepping onto campus for the first time, I immediately felt part of the community. Half a year later, I am proud to be part of the DMU family." - Ersta Ferryanto, D.P.M. 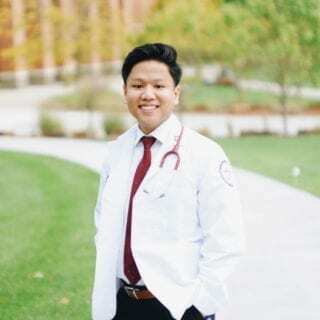 '21The College of Podiatric Medicine and Surgery (CPMS) at Des Moines University is America's center of excellence for innovative podiatric education, research and community service. The college was the first podiatric medical school to be affiliated with an academic health science center and is one of only nine podiatric medical schools in the nation. They prevent, diagnose and treat disorders and diseases of the foot and ankle for patients of all ages. They surgically and orthopedically correct foot and ankle problems. They care for patients with diabetes, who are vulnerable to limb-threatening complications. They treat patients with medical conditions such as poor circulation, gout, neurological disorders, and arthritis. Interested in learning more? Please contact our admission office at 800-240-2767, extension 1499, or email CPMSadmit@dmu.edu. To educate a diverse group of highly competent and compassionate podiatric health professionals to improve lives in a global community. Education: CPMS will be a leader in innovative podiatric medical education that promotes lifelong learning. Research: CPMS will be a leader in discovering new knowledge through collaborative faculty and student initiatives that advances the profession. Service: CPMS will be a leader in providing medical education and patient care services that improve the health and well-being of the community. Collaboration: CPMS will cultivate internal and external collaborative relationships to enhance podiatric medical education and advance. 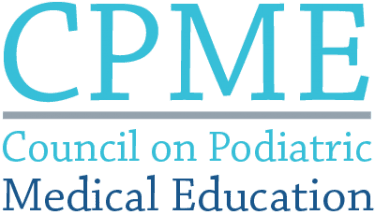 The Des Moines University College of Podiatric Medicine and Surgery is accredited by the Council on Podiatric Medical Education (CPME) at www.cpme.org and the accreditation status is accreditation. Accreditation is an indication of public approbation, attesting to the quality of the podiatric medical education program and the continued commitment of the institution to support the educational program. The Council is recognized as the professional institutional accrediting agency for podiatric medical education by the U. S. Department of Education and by the Council for Higher Education Accreditation. For further information, please contact the Council on Podiatric Medical Education at the following address: Council on Podiatric Medical Education, 9312 Old Georgetown Road, Bethesda, MD 20814.